FAB FIT FUN – USE CODE LOVELY10 FOR $10 OFF! 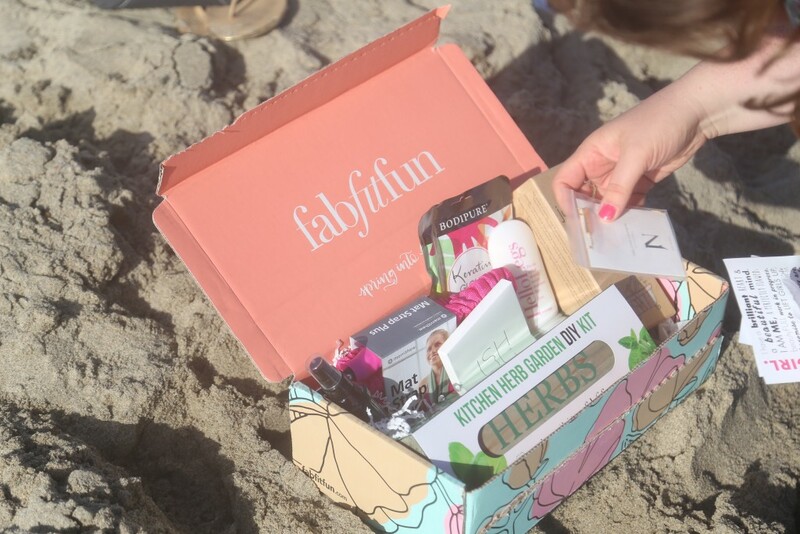 Today on the blog I am taking a look at the latest FabFitFun Box for Spring! I’ve really been into subscription boxes lately but what I love most about FabFitFun is that they send out the hottest seasonal items in full sizes that you’ll actually want! 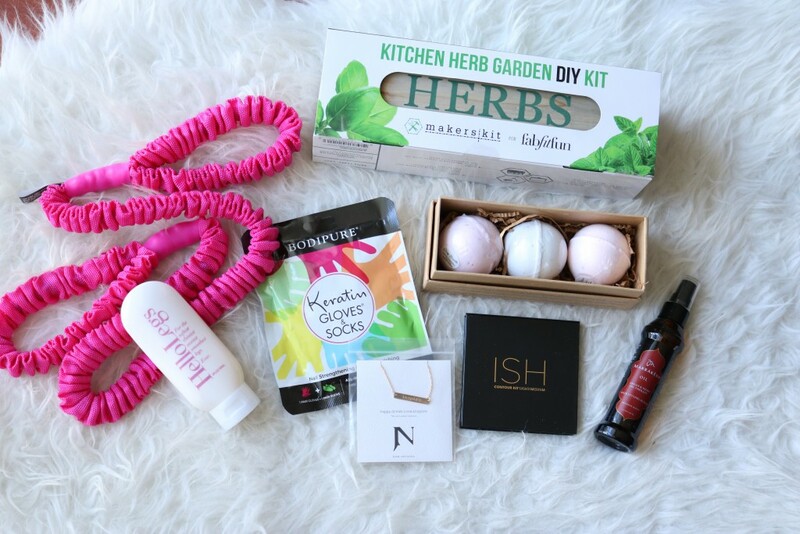 When I received my box I was super excited about the DIY Herb Kit (currently growing in my kitchen), the Keratin Gloves (my hands and feet are always super dry), Jook & Nana Gold Plated Necklace, the hot pink Mat Strap for resistance training and lastly the awesome bath bombs by J’us D’Amour! This was my first time trying the box and I LOVED it. Definitely gifting one or two to my friends, sisters and mom. 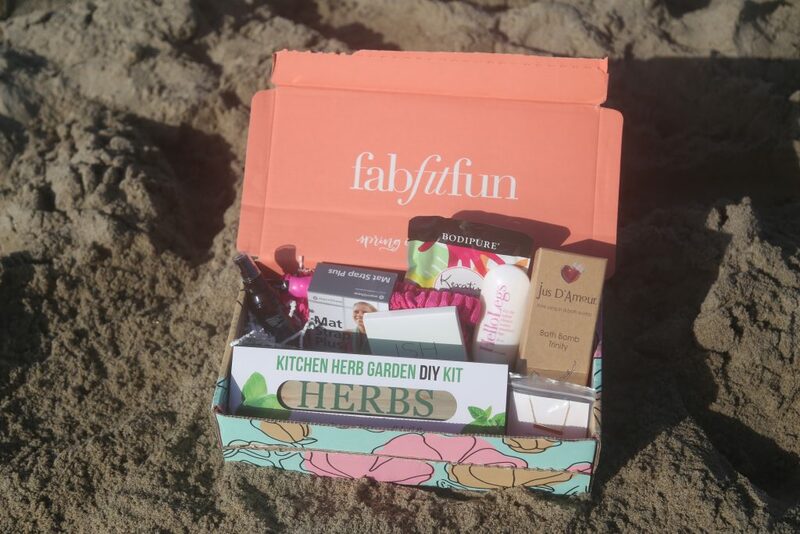 If you’d like to try it to, the cool team at FabFitFun has given me a code (LOVELY10) for your use which will give you $10 off your first box! This post was sponsored by FabFitFun. All opinions are my own. Thank you! The box was a pleasant surprise – I loved so many things! It’s a great box! I loved everything.